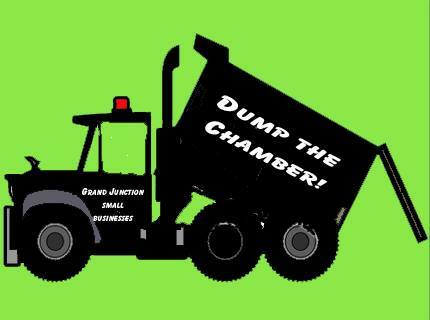 Members of Grand Junction, Colorado’s “Rein in the Grand Junction Area Chamber of Commerce” Facebook group have unveiled a new website to educate business owners and the public about citizens’ grievances against the Chamber. The site, GJChamber.info, asserts that many of the G.J. Chamber’s actions have hurt local citizens and businesses, and are contrary to citizens’ interests. The site’s pages have titles like “What’s Wrong with the Chamber?,” “Misguided Priorities,” “Bigotry and Intimidation,” “Overbearing Political Involvement,” “The Brainard Debacle” and “Chambermades.” The site provides links to published articles and other references to substantiate information on the site. The group created the site as one-stop shopping, a single place that local business owners can go to find out exactly why the Chamber has drawn the wrath of so many people and businesses in town. They hope that after perusing the site, Chamber member businesses will better understand the issues and consider leaving the Chamber, and that people who have less knowledge of the controversies surrounding the Chamber will be better informed. The group will also promote the site to new business owners so they can get up to speed on the political furor surrounding the Chamber before deciding to join. The site also contains a directory of non-Chamber businesses, to make it easier for people to choose where they want to shop. There are already over 100 businesses on the list. If non-chamber businesses want to be listed on the new site, or if a current Chamber member quits and wants to be listed, they can contact the group through the website and ask that their business be added to the list. I would like to know why the Chamber of Commerce backs the Fram Drilling Project on Grand Mesa National Forest?! Is it ALWAYS about Corporate Money? Even when the Community’s health and Local Agriculture is at stake?